It's that time again, dear readers, for the North American Nintendo Download update. This week brings a few options on Wii U along with a high quality dose of retro charm on the Virtual Console, while the 3DS has a game in which you dress up dolls along with some retail DLC. There are some discounts included too, so let's get to it. Missed the European Nintendo Download Update earlier in the week? Fret not, the details are right here. SUPER ROBO MOUSE (RCMADIAX, $4.49) - Perhaps the most ambitious project that RCMADIAX has produced, you guide ROBO through a series of top-down mazes and challenges in order to get it to the exit. We'll see whether it's fun or a bit cheesy in our review; until then you can check out our most recent interview with the developer. Epic Dumpster Bear (Log Games, $9.99) - A platformer that promises over 70 levels, "classic platforming action" and "bonus levels that take advantage of the Wii U GamePad". In practice it looks rather insane, with the bear in question showing remarkable agility while taking on foes such as giant wasps. All because an evil corporation destroyed his forest and food source - we'll see whether we can bear it in a review. Emojikara: A Clever Emoji Match Game (Intropy Games, $2.99) - As the name makes clear this one is all about emoji, and appears to put the focus on wordplay; you're given a phrase and need to find the relevant icons. Surprisingly this seems to be single player only (despite a multiplayer-friendly premise), though we'll go in with a typed smile and bring you a review. Game & Watch Gallery 4 (Nintendo, $6.99) - A neat entry (called Game & Watch Gallery Advance in Europe) as this series of collections moved off the Game Boy Colour, this title offers a range of 'Classic' games (like Mario's Cement Factory, Donkey Kong Jr., Donkey Kong 3, Fire, Boxing, and Rain Shower) and also modern remasters utilising the GBA's capabilities. We gave this a strong recommendation in our Game & Watch Gallery 4 review. 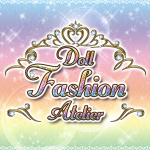 Doll Fashion Atelier (Teyon, $4.99) - Teyon is a publisher that's never away from the eShop for long, and returns with a dress-up game in which you can style a variety of dolls across five different themes; naturally you can share your creations on Miiverse, too. We'll stare into a doll's creepy, vacant eyes and get started on a review. Fire Emblem Fates New DLC Map:Anna on the Run (Nintendo, $1.99) - Anna is cornered by thieves! What will her fate be? Also included in Map Pack 1, which costs $17.99. It's also worth noting that a 'Spring Sale' will launch at 9am Pacific / noon Eastern; you can see all 40 discounts here. In addition Star Fox Zero is available to pre-load with a special deal on Star Fox Guard. That's your lot for the North American Nintendo Download Update this week; let us know what you're planning to download in the poll and comments below. I normally don't complain about the weekly downloads but this week is pretty barren. On the bright side, I think we get more SNES games for the New 3DS next week. I'll wait patiently for the details regarding the Spring Sale, but I will most likely not purchase anything else listed above. There is a slight chance in pre-downloading Starfox though. Another week to save money. Another week that I am spending nothing on Nintendo.... And lots with their competitors. There are eShop games and particularly a wealth of Virtual Console games I would like -though many for me a re-buy for a 3rd or 4th time, but Nintendo (at least the USA branch) seems to be doing a whole lot of "eh, not much" as so many of us lose interest. I'm somewhat interested in the Disney Stitch theme somehow. Also want to see what sales they'll be for the Spring Sales. Also if I had more money, I would pre-load Star Fox Zero. Nothing for me this week. Probably one of the weaker weeks, imo. Hopefully there's something desirable with the mentioned spring sales. Epic Dumpster Bear is going to be epic. Might have to check that out. G&W Gallery 4 for me. I may own the cartridge, but restore points will make getting the rarer games a lot more painless, especially since the free stars from the multiplayer games are no longer available. @Uberchu ...we JUST GOT Pokémon VC. No thanks for this week...although I protested it initially, I went ahead and purchased the Mega Man Legacy Collection (hard copy) earlier this week, even though I already own MM 1-4 on the 3ds, and MM 2-3 on the Wii U....as well as MM Anniversary for PS2, and the complete rom collection which I can play using a real NES controller. The shear amount of box art content included, the nice artwork displayed on the lower screen during gameplay, and the immediate access to each game soundtrack is what sold me. If your cost conscious, and can forgo the physical game cartridge, just purchase it as a download for $15. Curious to see what the Spring Sale entails..
Getting the themes. Love Disney. GBC VC games don't count. I'm referring to ranger PDM and the likes. Nothing for me this week, but I will keep an eye on that spring sale when it comes time. Nano Assault Neo is highly recommended, esp at that price! Wish game and watch gallery was on 3ds to complete the collection.. i have the first three but they were GBC and GBA games are Wii U exclusive I guess. Robo Mouse is the most promising offer this week...? Will wait on a Super Robo Mouse review, otherwise nothing too appealing this week. Nano Assault Neo is an amazing game, if you don't own it, pick it up. Not only do we get more Snes/New 3DS VC games, but we get three of the best (DKC 2, Super Metroid, and LoZ: LttP). I already have the funds ready for all three of them! I'm really hoping that Nintendo confirms the next batch, along with release dates, soon! I'd kill to have Super Castlevania 4, Legend of Mystic Ninja, Contra 3, Mega Man X, Sim City, Super Punch Out, Gradius III, Super Ghouls and Ghosts, Prince of Persia (this one most likely won't happen, but it DID come to the Wii VC, so it's possible), Final Fantasy III (VI), Super Mario RPG---god, the snes had such an amazing library, and I am so glad that I have them on the go, without having to mess with an emulator! Ugh, almost everything is trash. Disney-themed HOME Menu themes?! I certainly wasn't expecting that. I'm not too interested, but I know these will probably sell pretty well. Nothing for me this week except for checking out the spring sale and waiting for A Link to the Past next week. Nada here. I might get DKC for 3DS. Why no Snes games this week I wonder? Didn't G&WG4 have certain games that could only be unlocked by link cable? How's that gonna work here? Nothing this week, at least Bravely Second is right around the corner. Controls will make or break the Bear for me. Well... All things aside I am definitely getting star fox except it's going to be physical. @Uberchu Um, why on earth were you expecting those games tho show up on VC? And why do the ACTUAL legit Pokemon VC games not count as VC games to you? 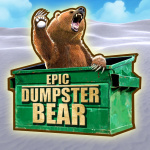 Epic Dumpster Bear... I'd have taken "Epic" out and just left it as Dumpster Bear. That alone is worth a sale. That kind of humor has already sold my imagination on a great memory that reminisces the time I lived in Florida. Yep. These sales and releases are weak. Gotta get Robo Mouse, my RCMADIAX folder needs it. Lol! So lets see this Spring Sale. I got paid today and bought Star Fox Command on DS VC out of hype and never trying the game. I'm sad theres no download play or online anymore, but its pleasant with the top screen on my big TV and my wrist resting gently on the Gamepad on my lap. It's like I'm laid back on my couch drawing rather than getting Metroid Prime Hunters / Kid Icarus Uprising cramps. Don't think I'd ever want this one on cartridge. No sir. And gosh darn, its sort of filling that Star Fox 2 void in my life that badly needs filled. I have to wait another week for Super Metroid? @RCMADIAX You must be kicking yourself, if you made Robomouse exactly $5 to qualify for the gold coin "mission" (how thats a "mission" I'll never now) some people would have bought it just for the +10 gold coin - missions are addictive like that. Though I suppose more people might buy at $4.49 b/c that's 51 cents cheaper and could be psychologically more attractive. On the bright side it could have been worse, you could have made it $4.99. (that's on Nitneod for starting at $5 even but having prices end in .99) Good luck. And better keep quiet, Nitnedo hasn't been playing very well with others, don't want to get you in any trouble for speaking. Big Game & Watch Gallery fan so probably get that down the line. Also have the Fates season pass so be recruiting Anna today. Nothing for me now, but next week I'll eagerly download Super Metroid to my 3DS. Someone can still go into the eShop and add, say, $10.00 in funds. Then they could download Super Robo Mouse, or any other game that's less than $5.00 and get Gold coin points for it. That's what I did on Monday. With $10 bucks in my eShop account, I bought three games that were on sale for $3.99 each and it gave me 30 gold coins for it. @RCMADIAX Oh, you are much more angry about it than I am. I'm annoyed and frustrated as usual with Nintendo's decisions, but it's your business. I just feel for ya. Pretty weak week, but there have been a smattering of really good weeks lately, so I'm okay with this. ...Remember when we used to be excited for these days? @RCMADIAX Well, your way does make more sense, and that other guy did seem too good to be true, I guess it was. Here's the eShop Spring Sale if anybody is interested. I think Nitnod only put the MSRP prices on the website, not the "up to 30% off" sale prices, so I can't tell if anything is good or not. @Detective_TeeJay he said recently... pokemon day was over a month ago... or rather "Just Got"
I'm expecting them because every other DANG Nintendo region is getting them, so why SHOULDN'T I expect us to get them? EU gets them first then Japan for the most part. As far as I'm ware EU has SNAP now on Wii U, 2 DS games, and 1 GBA pokemon game plus Drill Dozer. I'm glad we at least have pokemon pinball R/S. Um, there's a bunch of garbage on "their competitors" this past week from what I've seen. Losing interest over one week seems rather odd, considering we just got Mario Sluggers last week, and the week before that we got DKC and Earthbound. And next week we get DKC2 and Zelda Link to the Past. Yet you make it sound like there's nothing available while there's nothing but milk and honey elsewhere. There was garbage on PSN and Xbox Live the last several weeks. With the exception of X-COM on Vita. Nintendo saved me a trip to the bank to make a deposit, thanks Nintendo. Can I choose nothing for me 9 times? Nothing for me. I've got the physical edition preordered through Amazon though ($47.99). Back to finishing Twilight Princess HD. G&W G4 is really good. Lot's of games, and it has the Zelda G&W. The only proble is that I'm sure you can't 100% it, since you need someone else in the multiplayer games to access all the stars. Speaking of which, makes me wis there was some sort of anthology in which every Game & watch is included in a game. I really want t play Crab Grab. @RCMADIAX Hey, thanks for clarifying that. I was wondering just exactly what happened. Must spend more money on Fire Emblem. Download...download!! @mjharper I saw a video recently that left me with the impression that while the art direction may leave something to be desired, the gameplay looks solid. In another forum I commented to that effect, and in reply someone who had helped playtest the game said that those were his impressions as well, so I'm hopeful that when reviews come in the controls won't be an issue. I didn't see enough to judge level design, and the art design, well, yeah. I'd love to play G&W 4 on the 3DS, but that will never happen. Just a catch up week for me. I am getting Mega Man VI on my 3DS and Kirby's Dream Land 3 on the Wii U. If I get anything from this week it will be the Game and Watch Collection. I just got Galaga and Super Dodge Ball for my 3DS while they were on sale! @Freelance Yep, I know that pain, supa swell game, but needs to be portable! Speaking for myself though, those other systems and the indies and even retail games on those services are new to me. Do you own all of them? If so, then the lack of content on Nintendo (of America, more drastically) being offered up would mean much less to you. It's pretty poor though, anyway which you look a it. @Captain_Gonru Yup, I got a couple of games for free - WW HD, Game and Wario - but full "rewards" for them, even free. One came w/ MK8, one was my Plat or gold reward, forget which, but both had full priced rewards. So yes, nice to get rewarded for full price for free and discounted games. My belief has always been Ntinod coders just can't figure out how to work in the sale prices more than generosity on their part, but I'm naturally jaded that way. Its always a good download week when Game & Watch is involved! Foot in mouth lol? Please. I got Quantum Break. I know very well what releases on each console. But we are talking about smaller, download only titles. And if we're not, then let's not pretend we didn't just get Pokken Tournament and Hyrule Warriors recently, with Star Fox in the horizon this month. The bottom line is there have been lots of good games releasing recently- on nearly a weekly basis. And most weeks on other consoles are not impressive. Now, MegaMan Legends 2 I didn't know about and will be sure to download, but let's not pretend getting that one PSone game trumps all the SNES games that have been pouring onto 3DS recently. It's one thing to say you feel the digital releases on other consoles have been a little better recently (even though they haven't), but it's another thing to pretend like it's utter crap on the Nintendo side and a fountain of awesomeness elsewhere. Sony hasn't released a single PSone/PSP game on the PS4 to date and there's squat for PS2 selection. I am sick of this weekly eshop (insert word here)! Give us actual good games! Like Star Fox! Or Mario RPG! Or Zelda! @SmaMan No. The multiplayer games are unlocked by default. The only thing that you miss out are the stars for each 200 points you get. When you played multiplayer, the game gave you 5 stars automatically. Missing 20 stars don't do much because you can still unlock everything without them. https://en.wikipedia.org/wiki/Godzilla:_Unleashed Hey Nintendo Life.This sequel to Atari's Godzilla series is definitely not real,right?But I would like to one more. I meant to say I would like to see one more. Anna On The Run DLC. I wonder if they're adding the themes in preparation for disney magical world two, since Stitch, Little Mermaid, and Frozen are all being introduced this time. @majinx07 It plays a new mix of "Aloha E Komo Mai," and I must imagine the same for the Mickey Mouse Club March and Under the Sea. 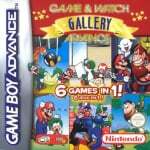 Game and Watch Gallery 4! That's the one with Zelda Game and Watch. Nifty.